Blepharoplasty is cosmetic eyelid surgery to improve the appearance of the upper and lower eyelids by removing excess skin and fat. The eyes are often the first thing people notice, and both aging and genetics affect how your eyelids look. When your upper eyelids sag and cover your lashes, or when excess skin bulges beneath the eyes creating bags, you may appear tired or sad, even if you’re not. Blepharoplasty is a great option for maximal eye rejuvenation with minimal downtime. It is one of the top five most popular cosmetic procedures in the U.S. for good reason! So we asked cosmetic surgeon Dr. Ronald Moy questions about blepharoplasty surgery. Eyelid Surgery can give you more youthful eyes by lifting the upper eyelid skin and minimizing the bags and wrinkles of the lower eyelid area. Our board-certified and fellowship trained cosmetic surgeons perform hundreds of blepharoplasty surgeries each year. You can be confident that your results will create a natural youthful appearance. Below we answered a related question, ‘will I have scaring?’. Can I have just the upper lids or just the lower lids fixed? Yes. It is very common for us to improve just the upper eyelids or remove fat and wrinkles from the lower lids. During a consultation at one of our cosmetic surgery offices in Beverly Hills, Encino or Torrance, you’ll have the opportunity to discuss your goals and review your options. Where are the incisions made, and will I have scars? 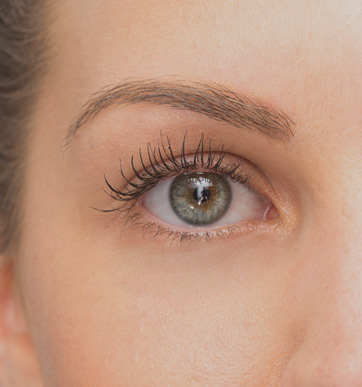 The upper eyelid lifting incision is created in the natural crease, so any scar line is virtually undetectable. Furthermore, we frequently perform laser resurfacing in conjunction with a blepharoplasty. Laser resurfacing on the upper eyelid skin helps to further reduce the incision scar, resulting in a completely natural appearance. Learn more about laser resurfacing. How long does it take to recovery from a blepharoplasty? It usually takes a week to recovery from blepharoplasty surgery. During the first week, you’ll experience swelling, bruising and a sunburn type sensation. Blepharoplasty is performed under local anesthesia and is minimally invasive. What are the potential risks of a blepharoplasty? The potential risks of blepharoplasty are now minimal since bleeding is negligible with the use of lasers and the minimal invasive surgery that we perform. We understand any surgery is a big decision, but you can rest assured that our board-certified fellowship trained cosmetic surgeons are expertly skilled and perform all surgeries with the utmost care. You’re in phenomenal hands. No one is too old for eyelid surgery. Blepharoplasty surgery is minimally invasive and offers a more youthful appearance immediately. Schedule a blepharoplasty consultation with one of our cosmetic surgeons to learn more about the procedure and discuss your goals.